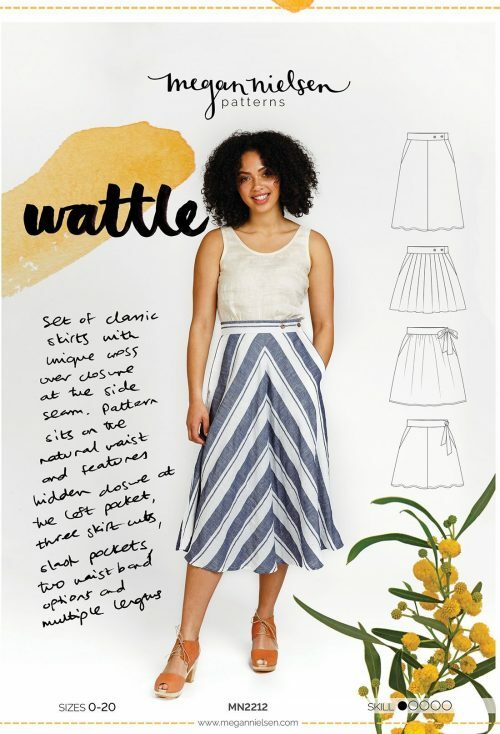 Wattle is a set of classic skirts with unique crossover closure at the side seam. 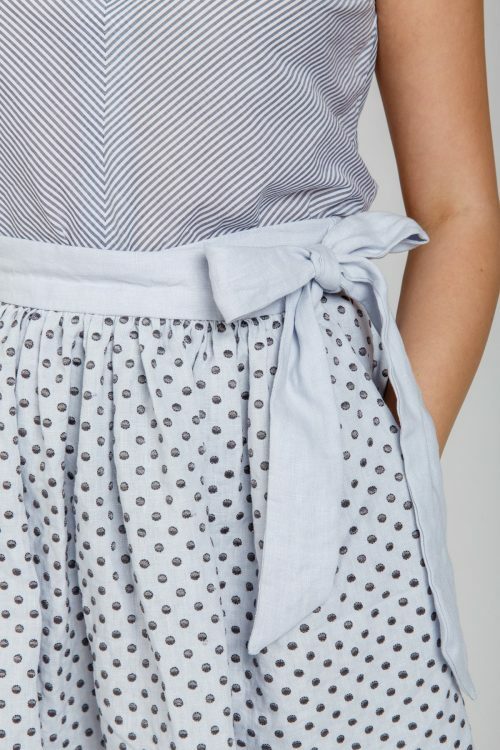 Pattern sits on the natural waist and features hidden closure at the left pocket, three skirt options, slash pockets, two waistband options and multiple lengths. 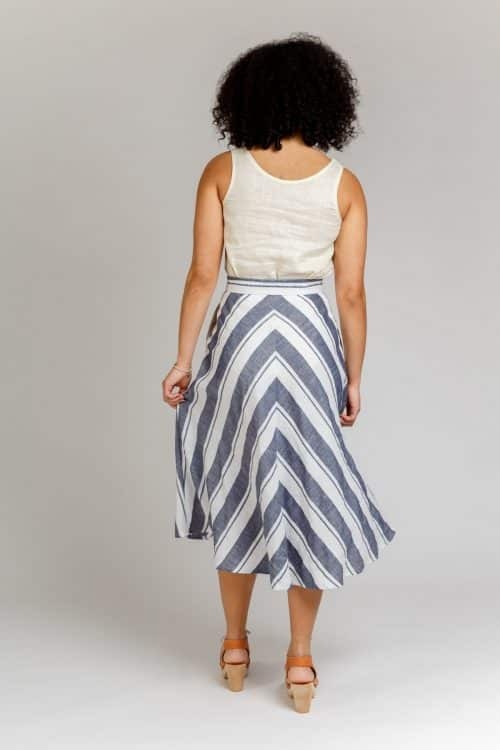 View A is a bias cut midi length skirt. 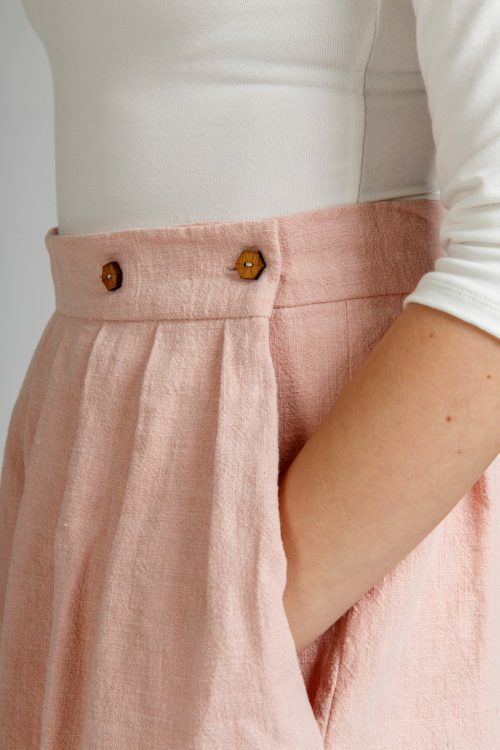 View B is a skirt pleated above the knee. 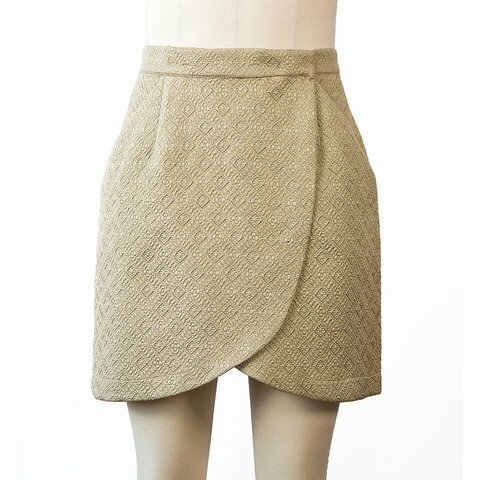 View C is a skirt gathered below the knee. 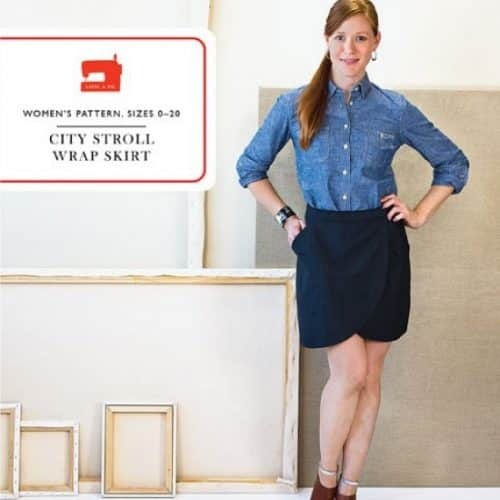 View D is a bias cut skirt above the knee. Light to medium weight fabrics will work equally well with different effect. 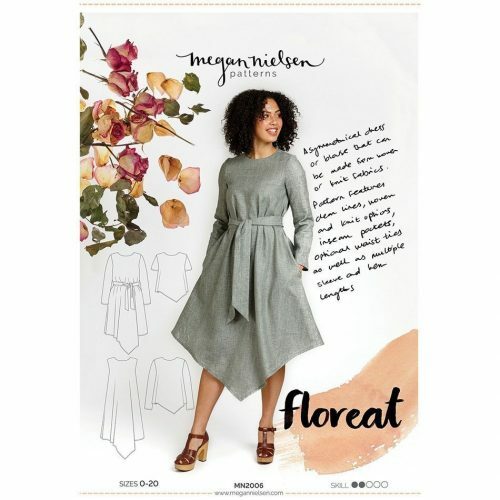 Fabrics such as denim, twill, poplin, broadcloth, linen, linen blends, suiting, gabardine, pique, and wool blends will result in a more structured garment. 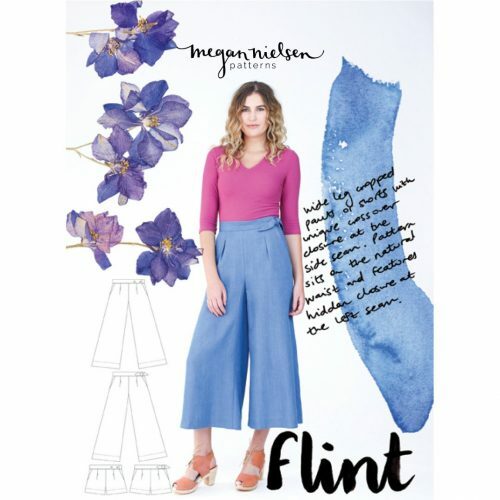 Lighter weight fabrics such as cottons, rayon, silks etc. 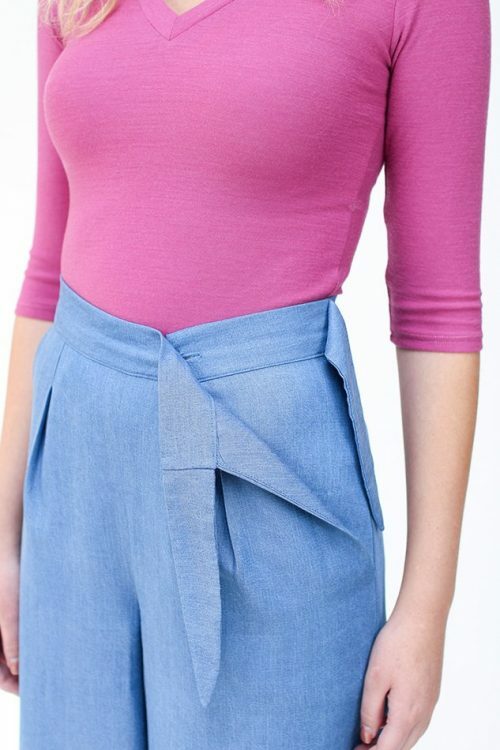 will result in a looser flowy garment. 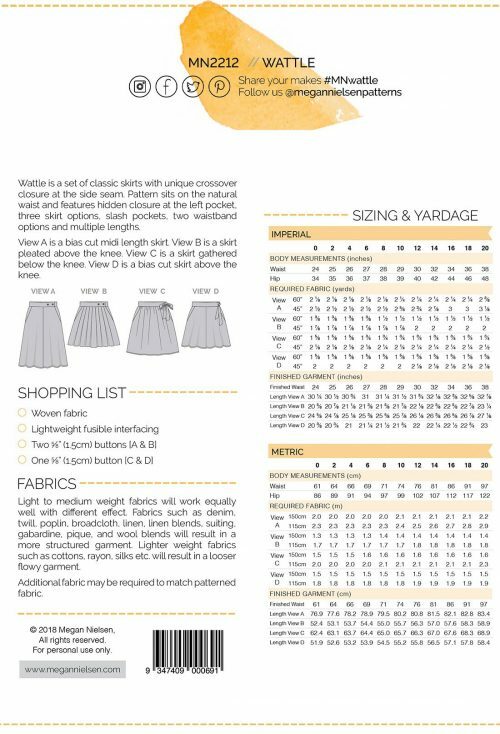 Additional fabric may be required to match patterned fabric.